This is seriously the easiest and yummiest cornbread ever. 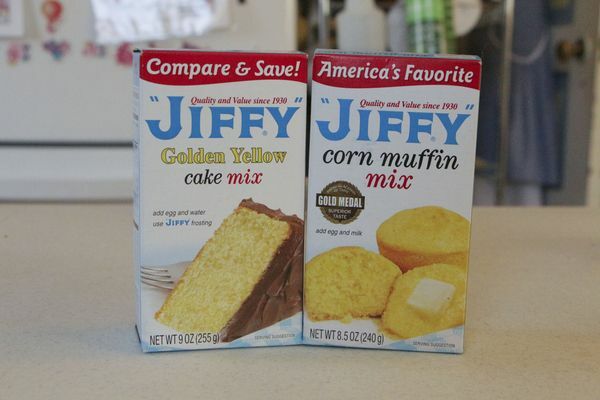 Actually it is the only cornbread I will even eat, and it isn't just because it is what I grew up with! 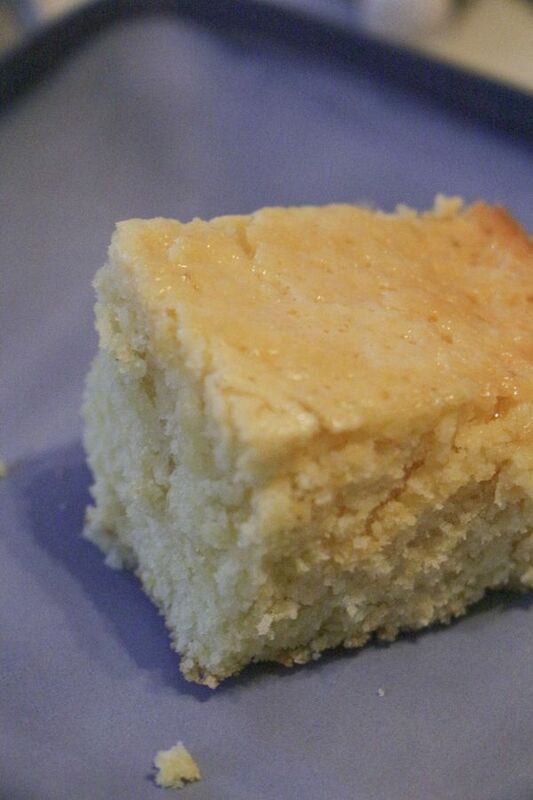 The texture is much more cake-like then traditional cornbread (you will understand why when you look at the recipe). Mix together all ingredients. I just mix them by hand. 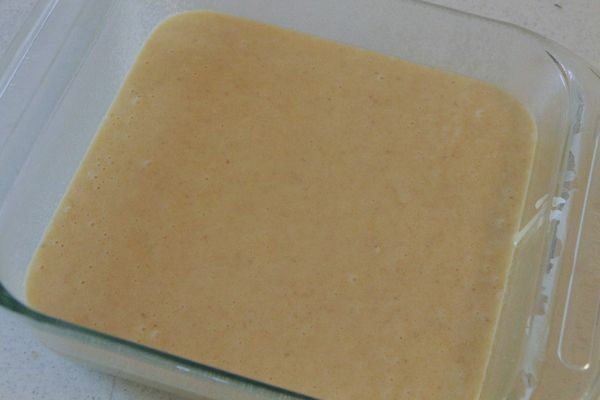 The batter comes out fairly thin like pancake batter. Pour in greased pan. I use an 8x8 for thick cornbread, but you could use any size and adjust your cooking time. 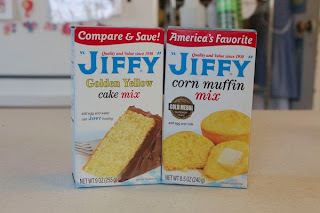 Obviously thinner cornbread will cook a lot faster! Best when served warm (in my opinion) with butter. My husband likes it with honey, and he even convinced the girls it was dessert when served with honey!